» Regarde ce que tu as fait ! « tells the story of a man, Jacob, who finds himself confronted with his heinous deeds. While Kendra, a psychologist, tries to make him aware of his actions, Jacob denies his responsibility and claims his innocence. He describes a stranger’s presence who follows him everywhere and who acts on his own. The discussion between Jacob and Kendra will bring up some controversy. 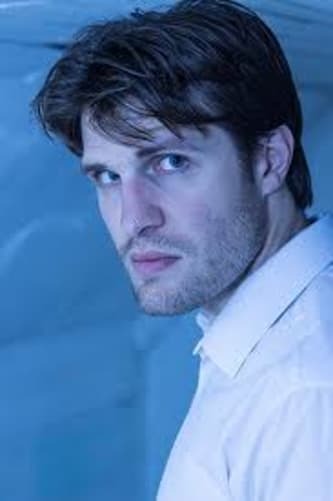 Through the rational psychologist’s mind who will enounce the theory of schizophrenia, Jacob will make us doubt ourself and open the question of the existence of a malicious force that manipulated him. 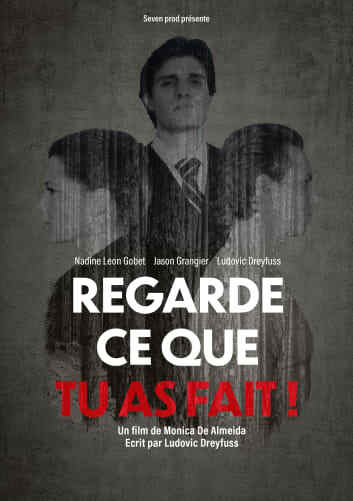 «Regarde ce que tu as fait !» exposes discomfort and questions our actions. Do you believe in the existence of «evil» embodied by an invisible force or do you believe in the mental illness that leads man to do evil? The theme of the film challenges us and opens various discussions. It delicately reaches our moral limits and we wander between belief and mental illness. In the Middle Age, we thought people were possessed by evil but today, they are possessed by disease. Is it madness that generates evil or evil that generates madness? The film will give rise to a wide range of opinions. The directing and the mood will give the spectator the choice to make his own and intimate conclusions. To make this film happen, we need you ! Your support will help us provide catering to the crew on set, rent the equipment (so we can make this film look marvellous), buy the props which will serve to create a realistic atmosphere, and finally to pay the actors. Indeed, they are travelling from London just to be part of this project. This project is already partially supported by our actors and the director who, for now, participate without earning back. However, for this film to be set up and come to life, we need help from our contributors. - The poster of the film - Your name in the credits under the “Thanks” section - Enjoy a one-year free subscription to the cinema magazine "Daily Movies". - One invitation to the film’s private screening with the actors and the crew, followed by an aperitif. - The poster of the film - Your name in the credits under the “Thanks” section - Enjoy a one-year free subscription to the cinema magazine "Daily Movies". - Two invitations to the film’s private screening with the actors and the crew, followed by an aperitif. - The poster of the film - Your name in the credits under the “Thanks” section - Enjoy a one-year free subscription to the cinema magazine "Daily Movies". - Three invitations to the film’s private screening with the actors and the crew, followed by an aperitif. - With three of your friends, visit the post-production studios with the director. We will unveil the secrets of making the film, answer all your questions and finishing the visit with a drink. 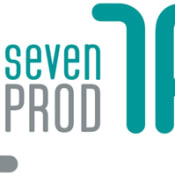 Seven Prod is an independent production company based in Lausanne. It has been operating for more than 8 years on TV & Cinema productions in the French speaking region of Switzerland. 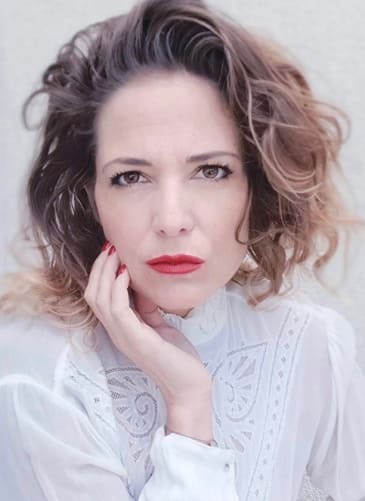 “Ladies Happy Hour” & “Happy Célibat” are two TV series directed by Monica De Almeida. She is also the co-founder of Seven Prod. Seven Prod collaborates with various local scriptwriters, directors & actors.